If your iPhone is stolen, you’re not out of luck. Here’s how you can track, wipe, and locate it. Your iPhone is likely one the most used devices in your arsenal of electronics. iPhones allow you to make phone calls, surf the internet, see what your friends are up to on Facebook, and much more. When you lose your iPhone or some a-hole steals it, chances are your day or even week will be turned upside down. Additionally, if your phone was not insured, you will be out hundreds of dollars having to buy a new iPhone. 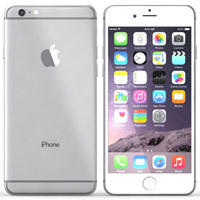 iPhone popularity has increased over the past few years which has translated into an increased theft of iPhones. Many thieves realized they could steal an iPhone, wipe the data, and sell it online or on Craigslist for a lot of money. Multiply that a few times per week, and a thief could make a full time salary. From the inception of the iPhone through 2009, there was no way for consumers to remotely wipe or track their iPhone in the event that someone stole it. Market Watch statistics show that every 3.5 seconds, someone in America loses a cell phone. Most of the time, this happens in a coffee shop, bar, office, or public place. These stolen devices add up to a whopping $30 billion in annual losses. Wow, that is a lot of money! It’s no wonder why thieves found this to be a lucrative market. A number of criminals made a lot of money over that stretch, but tech companies soon realized that it was their duty to fight back. They developed applications and tools that gave consumers the ability to track an iPhone, and if needed, securely wipe everything from the iPhone remotely. This effectively bricks a device, making it completely unusable and unsellable for crooks. We are here to show you how to properly set up your iPhone so you are prepared in the event your iPhone is lost or stolen. We will also review how to track, locate, and wipe your phone using Find My iPhone. Let’s dive in! Find My iPhone, is Apple’s software designed to help you track an iPhone and to deter thieves. Anyone who owns an iPhone, iPad, Mac, or iPod Touch can enable this feature. This feature is a MUST for any of these devices. If your device is ever lost or stolen you have the ability to map its location, lock the device, and even wipe it remotely. This will ensure your data is safe in the event that you are not able to recover your device. Apple stepped up the security of Find My iPhone with the launch of iOS 7. Before iOS 7 any thief could disable Find My iPhone’s tracking feature by wiping your phone. Even if the phone had a passcode, all they had to do was set the phone in recovery mode, restore through iTunes, and voila, it was ready for resale. Now, Apple requires an iPhone owner to manually enter their Apple ID and password on the phone before Find My iPhone can be disabled. 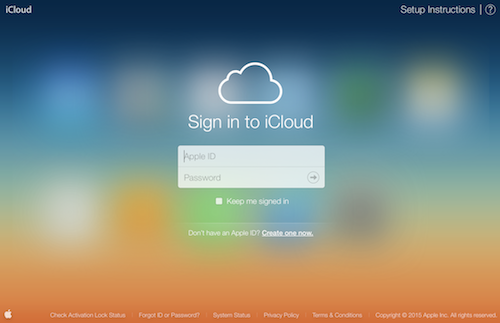 Additionally, a user can log into their iCloud account on a computer and remove the device from their account. In order for Find My iPhone features to work, it must be set up on your iPhone. Make sure to DO IT NOW! Before it’s too late. If it’s not set up on your iPhone, there’s no way to track or wipe your phone if it’s stolen. In the unfortunate event that your iPhone is stolen, the first thing to do log into iCloud from a computer. It can be a Mac or PC, but it must have a modern web browser. 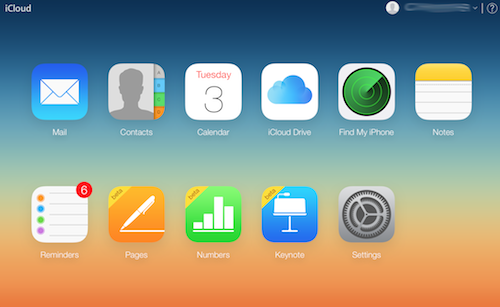 Visit www.icloud.comand enter your Apple ID and password to login. You will need to use the same Apple ID you used when setting up Find My iPhone. 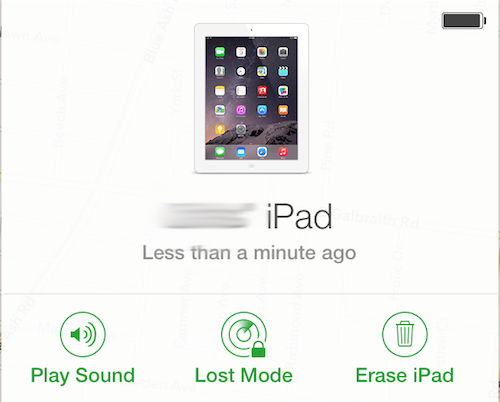 After you logging in, click the Find My iPhone button. At the top of the screen click the “All Devices” dropdown. Select your stolen iPhone, iPad, Mac, or other iOS device from the drop down menu. The device information window will pop up. From here you will be able to see when the iPhone last “checked in.” You’ll also see three options below: Play Sound, Lost Mode, and Erase iPhone. The Play Sound button will allow you to play a loud “ping” location sound. This is very useful if you lost your iPhone somewhere around your house, office, or in your car. If your phone was stolen this will not help, and it will alert the thief that you are tracking the phone. Lost Mode will allow you to enter a phone number where you can be reached. The phone number will be display on your lost or stolen iPhone’s screen. You also have the ability to enter a message that will show on the lost iPhone’s screen. This feature is intended for lost iPhones rather than stolen iPhones. A thief will most likely not call the number on the screen unless they are trying to extort money from you. Lost Mode does have one benefit even if your phone was stolen: it automatically locks your iPhone, and makes it impossible for the thief to access your phone unless you allow them. Erase iPhone is a last resort that should only be used in the event that your iPhone will never be returned. This is what we call the “nuclear option”. Once activated, Erase iPhone will delete all contents and settings and will render Find My iPhone useless. At this point, you will no longer be able to track or locate your iPhone. If there is any hope that you will recover your iPhone from a theif, use the options above as a last resort. At this point, you may be asking, why does Apple offer these options, and what can I do instead? One thing you will see in the background of the web version of Find My iPhone is a map. Each green dot on the map represents the location of your device or devices. 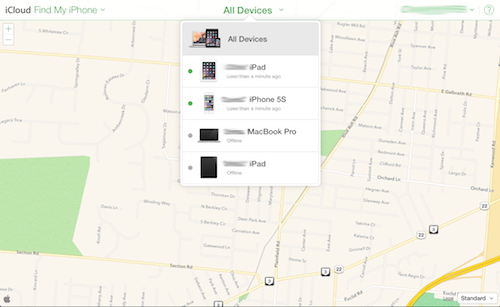 When your iPhone is selected from the drop down list of devices, the map will automatically move to the green dot that represents your stolen iPhone. This is the location your iPhone is at. The iPhone must be turned on and connected to a cellular or wireless network to locate. At this point, you can contact the authorities with the location and have them attempt to recover your iPhone. Don’t try to be a hero. You may be blowing steam out your ears with anger over the fact that some chump stole your iPhone, but it’s not worth the possibility getting hurt or worse because you tried to track down your phone. You don’t know who if it was some teen or thug that stole your phone, and they could be more dangerous than you think. Once you tracked the location of your iPhone and it stops moving, take note of the address, call the police and let them do the dirty work. They will use this evidence as probable cause to show up at the thief’s home and search for your stolen iPhone. Now that you have all the information and resources to track an iPhone, set it up! You never know when that beloved device could end up in the wrong hands. If you are unable to recover your iPhone, you will want to contact your service provider to see how to report a iPhone stolen in their system. ReportMyStolenMac.com also keeps a database of stolen Apple products. Police departments, pawn shops, resellers, and others can check our database to see if an iPhone or Mac they purchased was reported as lost. It’s free to submit your device and it only takes a minute. Report a stolen iPhone in our database.